It was a delight to see Tim Berners-Lee taking part in the London 2012 Opening Ceremony last night, which was a thoroughly classy and enjoyable (if slightly bonkers in places) celebration of the UK. As you can see, I got a little bit excited when TBL appeared on stage (with his NeXTcube), but it was clear recognition of the UK’s contribution to the Digital Age and its impact on the entire world. There was also a hat tip at the beginning of the ceremony to engineer Isambard Kingdom Brunel (albeit some Americans thought he was a Dickensian character), although it would have been nice to have recognised Alan Turing in his centenary year. 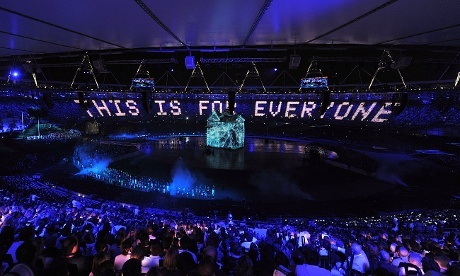 A great message to take away from the London 2012 Olympics.